By now you are probably sick of us telling you about temples. Your eyes start to glaze over, you wonder when we might post something about food again (soon, promise! ), and you close the tab before reaching the end of our post. We can't blame you, since we were still nursing a serious temple hangover from India and Nepal. But we knew we'd kick ourselves later if we skipped over the plains of Bagan, where over 3000 Buddhist temples are scattered, in various states of disrepair. 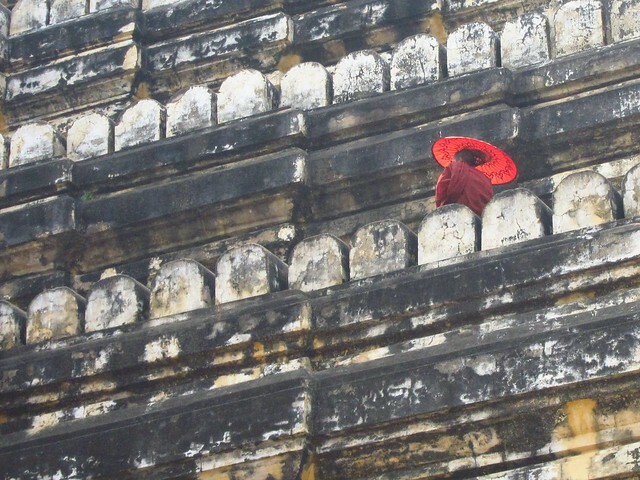 Many are almost a thousand years old, and some are still actively used as religious pilgrimage sites. So we took an overnight bus from Yangon, arrived in Bagan, tried to ignore the fact that we were already sweating through our clothing at 9 am, and hopped on some bicycles to explore the area. 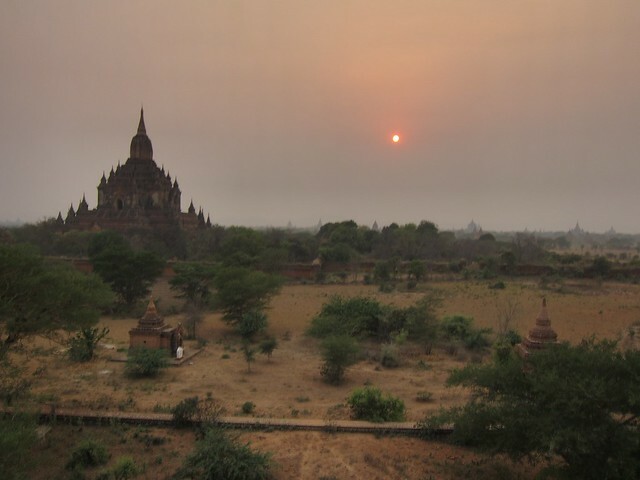 The neat thing about Bagan is that even though it probably recevies the most visitors of any site in Myanmar, it's so big and spread out that you can often feel completely alone and even off-the-beaten-path. 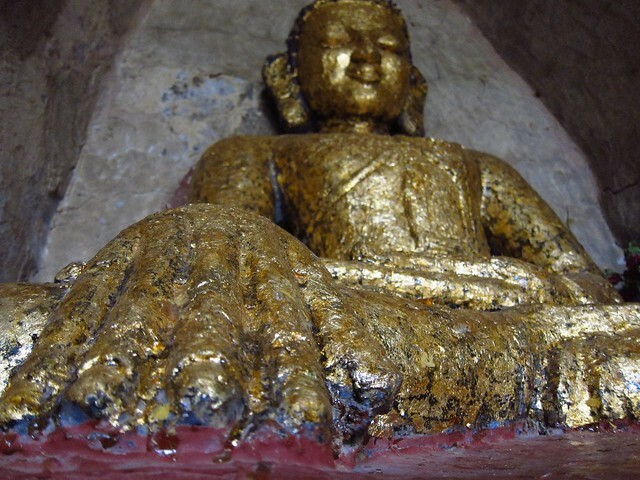 There are so many temples, stupas, and shrines that there wouldn't even be a point in putting most of them on a map. We spent two days just biking through the plains on dirt paths, stopping to enter a temple if we felt like it, but passing many more by, since it would simply be impossible to stop at every one. Many of them are crumbling and overgrown with weeds, serving more as a snack spot for the goats than as a tourist site. It is possible to wander the plains for days and barely bump into another tourist. Not a single tout asked us if he or she could be our guide, and only a few of the more important temples have vendors in front of them. 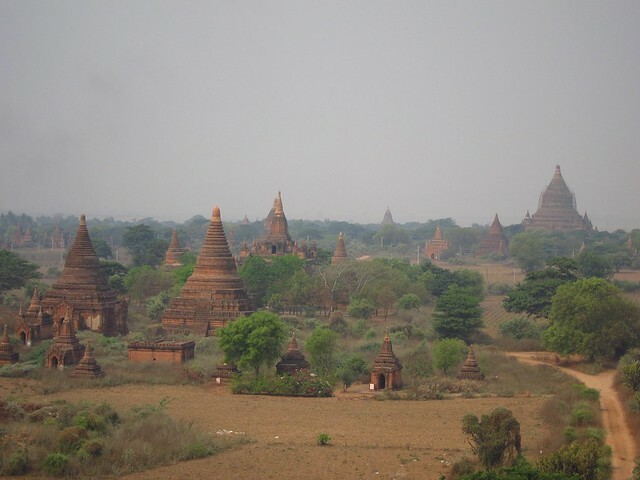 Bagan is not a place for anyone who wants to be stunned by one single, dazzling temple in perfect condition. It is one of those places where the whole makes a much stronger impression than the sum of its parts. You can climb dark and narrow staircases through dusty temples, reach the top, and be the only person there while taking in the sight of hundreds of temples in every direction, as far as the eye can see. If you have the opportunity, go now, because we're sure that within a decade it will have the unfortunate amusement park feel that many of its neighboring countries' sites have: tourists in every direction, as far as the eye can see.